Weston’s last attempt at a simple, “direct reading” meter for the amateur niche: i.e. you just point it and read the exposure and that’s it. It actually has a good idea behind it: you use a revolving plate on the back that partially covers the selenium cell, and that calibrates the meter for the film speed (a faster speed uncovers more of the cell, so the reading is higher. Neat idea). There’s a knob on the side, and you turn the knob until your desired shutter speed shows up, and then direct read the aperture. Or turn the knob until you find an aperture you like, and read the resulting shutter speed.This is one of the most unusually styled meters that I own. Like other Westons, the cell is on the back and it was meant to be held upright at eye-level. So you hold the bottom portion (you can see the grip contours on the sides) and your thumb can roll the knob, making it one-handed. The truly neat thing is that the roll knob is on both sides, so you can use it in either hand. Most meters are laid out for right-handed use. Despite the neat styling and features, and that fact that it is easy to use, it suffers from the same problem all direct-read meters have—by being simple, it’s severely limited. On this one, the E.I. settings only go to ASA 250, but high speed films rated at ASA 400, or pushed to E.I. 500 or higher, were becoming common. 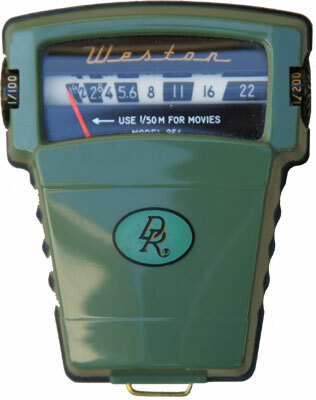 via James’s Light Meter Collection: Weston Model 854 DR. Cool! 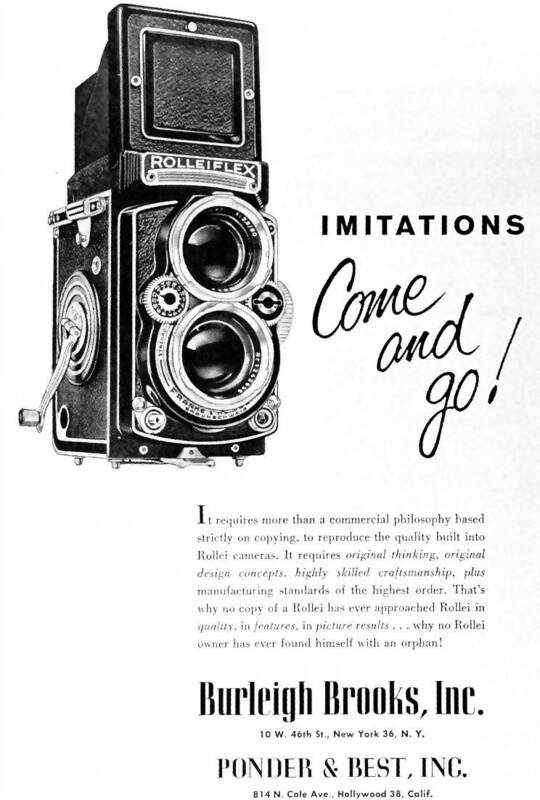 My sister in law just gave me one, in the box with manual and the pouch and warranty card: she knows I love vintage, knows I love photography, I may try it out, but looks to be cool for a display to set up in a corner of a room with my vintage tripod, cameras, and photos! Love it!